This view is based on the performance_schema.table_io_waits_summary_by_index_usage table, which will require enabling the Performance Schema, the events_waits_current consumer and the wait/io/table/sql/handler instrument. PRIMARY (key) indexes are ignored. Once you’ve found unused indexes, remove them. Again, once you find the redundant index, remove it. The statements summary tables from the performance schema have several interesting fields. For our case, two of them are pretty important: NO_INDEX_USED (means that the statement performed a table scan without using an index) and NO_GOOD_INDEX_USED (“1” if the server found no good index to use for the statement, “0” otherwise). Sys schema has one view that is based on the performance_schema.events_statements_summary_by_digest table, and is useful for this purpose: statements_with_full_table_scans, which lists all normalized statements that have done a table scan. query: SELECT * FROM `world` . `Count ... guage` WHERE `isOfficial` = ? Note that the “query” field reports the query digest (more like a fingerprint) instead of the actual query. In this case, the CountryLanguage table is missing an index over the “isOfficial” field. It is your job to decide whether it is worth it to add the index or not. It was explained before that Multiple Column index beats Index Merge in all cases when such index can be used, even when sometimes you might have to use index hints to make it work. But when using them, don’t forget that the order matters. MySQL will only use a multi-column index if at least one value is specified for the first column in the index. Now, you’ll have to also consider the selectivity of the fields involved. Which is the preferred order? So in this case, if we create a multi-column index, the preferred order will be (Language, CountryCode). Placing the most selective columns first is a good idea when there is no sorting or grouping to consider, and thus the purpose of the index is only to optimize where lookups. You might need to choose the column order, so that it’s as selective as possible for the queries that you’ll run most. Now, is this good enough? Not really. What about special cases where the table doesn’t have an even distribution? When a single value is present way more times than all the others? In that case, no index will be good enough. Be careful not to assume that average-case performance is representative of special-case performance. Special cases can wreck performance for the whole application. In conclusion, we depend heavily on proper indexes. Give them some love and care once in a while, and the database will be very grateful. I just wanted to mention one thing – be careful when dropping seemingly redundant indexes. If a hint is used on a query, you will get an error rather than an alternative index selected. 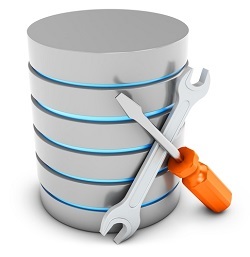 As mentioned in Manyi’s interview last week – in MySQL 8.0 we will support invisible indexes for this purpose (hide first, then delete after some time). This will also help for case #1 that you mention. Hello and thanks for the nice post. The ways written here are good especially for DBAs who don’t know well about the app using a database.